As more Filipinos turn to poultry meat as an alternative source of protein in their everyday meals, Bounty Agro Ventures, Inc. (BAVI) endeavors to make its products safer for the family as it introduces the country’s first-ever, all-natural antibiotic-free chicken. Through its pioneering no antibiotics ever (NAE) system, BAVI has eliminated the use of any antibiotics from day one until the chickens are processed, ensuring they are naturally healthy. BAVI is also bringing these safer-to-eat chickens conveniently closer to Filipino households through its roasted chicken brands Chooks-to-Go, Uling Roasters and Reyal. To date, all Chooks-to-Go stores in Ilocos, Isabela, Pangasinan and Southern Tagalog are serving NAE, as well as all Reyal and Uling Roasters stores in Ilocos and Isabela. 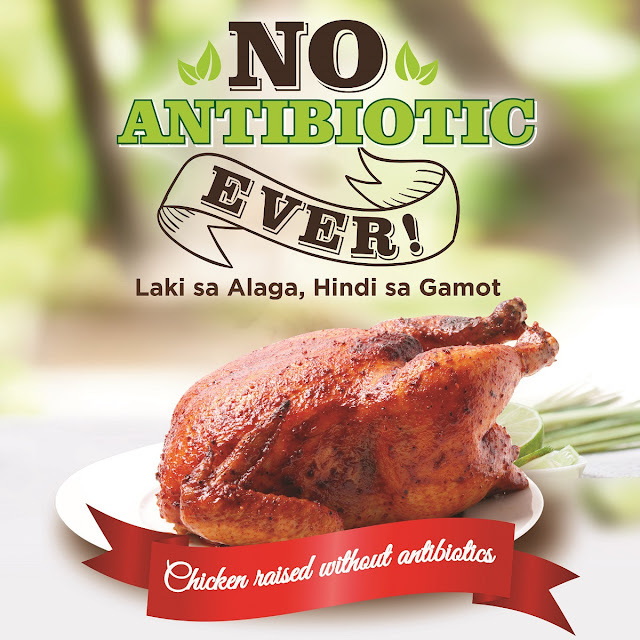 Soon, more households in different parts of the country will taste the goodness of safer-to-eat antibiotic-free roasted chicken as BAVI makes NAE chicken available in its nearly 2,000 stores nationwide. “We recognize that consumers, especially homemakers, desire for safe food to nourish their families and loved ones. We share this desire with them that is why we continue to innovate our products and strive to offer the best to them,” Mascariñas said. The company also said that the availability of NAE in its retail stores underscores the fact that safe and healthy food need not be expensive. For years, antibiotics have been used to promote growth, and prevent and treat chickens from diseases. However, overuse of antibiotics in livestock and poultry results in the development of antibiotic resistance in disease-causing bacteria that could be transferred to consumers, posing a threat to their health and safety. That is why global meat producers Perdue Farms and Tyson Foods have pioneered the shift to bringing antibiotic-free chicken to the international market for a healthier alternative. Following this, BAVI has upgraded its processes to become the country’s first and only poultry integrator to utilize an NAE chicken production system.